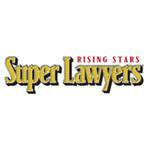 Home » FAQs » What Happens After A Preliminary Hearing? If the Judge believes the prosecution presented probable cause to show a crime occurred and you are the best suspect, your case will continue moving toward trial and they may even set a trial date in the days following your preliminary hearing. However, if the Judge does not believe probable cause exists to continue with your prosecution, the court will dismiss the charges against you, and the case is over. The preliminary hearing is not a trial, and the prosecution does not have to prove guilt beyond a reasonable doubt at the preliminary hearing. This hearing requires the prosecution to show the Judge they had just cause to arrest you and try you for the crime in question. The Judge may decide whether to allow the case to move forward on the same day or wait several days to make a decision. What Happens If the Judge Does Not Believe There is Enough Evidence? If the Judge does not believe the prosecution has a strong enough case to take you to court, the Judge may dismiss your charges following the preliminary hearing. This ends the criminal case against you. What Happens If the Judge Allows the Case Against Me to Continue? Once the preliminary hearing is over, the case is ready to head to trial. The prosecution can move forward with its case against you. The court will likely get your case on the docket within a few days of your preliminary hearing, although the actual trial date may be several weeks or even months down the road. Prosecutors may continue to offer plea deals during the time between the preliminary hearing and the trial. You should weigh these offers carefully with your counsel to determine if they may offer a favorable outcome in your case. 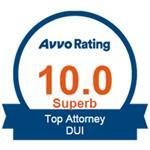 If you are facing DUI, theft, drug, or other criminal charges, you do not have to face them alone. You are entitled to legal representation throughout your case, including at your preliminary hearing. At McKenzie Law Firm, P.C., we fight to protect your rights and represent your best interests. Call us today at 610-680-7842 to learn more.